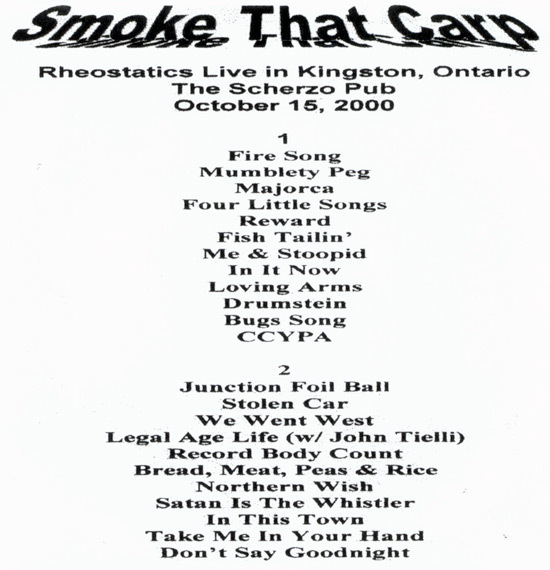 Per Michael this was one of the best Rheos shows he ever saw. It must have been just before recording Night Of The Shooting Stars in winter 2000 as most of the songs on the album were played. Mumbletypeg lacked the spoken mid section "your love was a flower" part. 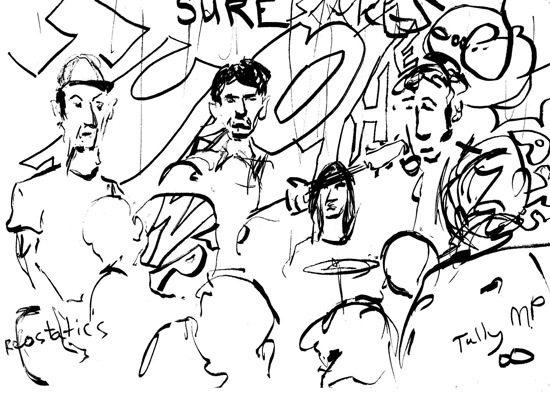 "Rare original drawing by local artist "tully" drawn during the october 15 2000 rheos gig at the now defunct scherzo pub, kingston, ontario. the story goes that "tully" goes to shows, does a drawing of the band, and just leaves it on a random table for someone (like me!) to find it. i actually found it on the floor!"